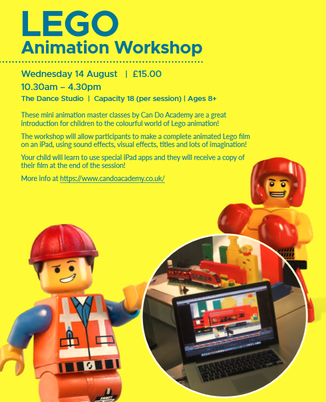 hese mini animation classes by Can Do Academy are a great introduction for children to the colouorful world of Lego Animation! The workshop will allow participants to make a complete animated film on an iPad using sound effects, visual effects, titles and lots of imagination! Your child will learn to use special iPad apps and they will recieve a copy of their film at the end of the session!